I would to know, I have a drop down list items in my applications. While, am clicking on the drop down bx, there are few numbers of listed items, while am doing mouse over action, I should display the entire text of selected item from that drop down list box, even am not selecting that item. 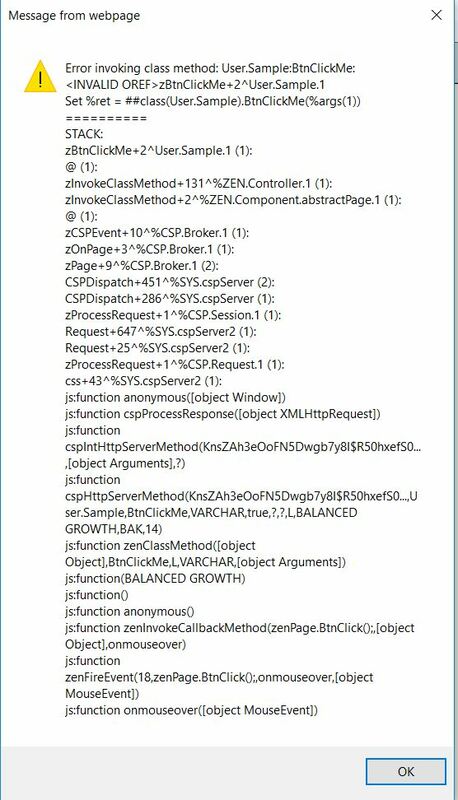 I would like to know about the what is exact text it contains in Zen framework. with multiple title properties. The ZENmethod setProperty() reaches only the first one. Which is the Label (!) and if you didn't declare it in the ZEN class it is hidden and you will never see it. All settings of the page happen in client code. Now as you do not depend on %page object now this could be a ClassMethod as well. Even, as per your code that works great. I tried like as below, that's also working. <dataCombo id="Priority" name="Priority" label="Priority" title="RoberT"
If I have multiple values in datacombo box using by SQL queries, I should display each values as per my selection of the text. Can you please advise on this. to setup the content of title on server side as you do for other ZEN components. If you want a different tooltip (aka 'title' property), for each different item in your dropdown box, then my guess is that, you need to trap the onchange event of the datacombo box. That is - when the user selects a new item from your dropdown box, and it fires off an event - add code to that event (onchange?) which redefines the title property of that datacombo component, based on the selection made. Of course, somewhere you need to supply to the page a list of title texts that need to be applied for each option in the datacombo box. I have tried like as below. But, I'm facing an issue as per below attached image. Can anyone correct me on this. <dataCombo id="Priority1" name="Priority1" label="Priority1" onmouseover="zenPage.BtnClick();"
Not sure if this is the real problem: Anyhow it is a problem. I tried the above. But, Still am facing an issue like below. #1) your subscript is just $i not $i(^%ARUNDTMP) so we loose the full trace for multiple calls. but we have anyhow some trace. 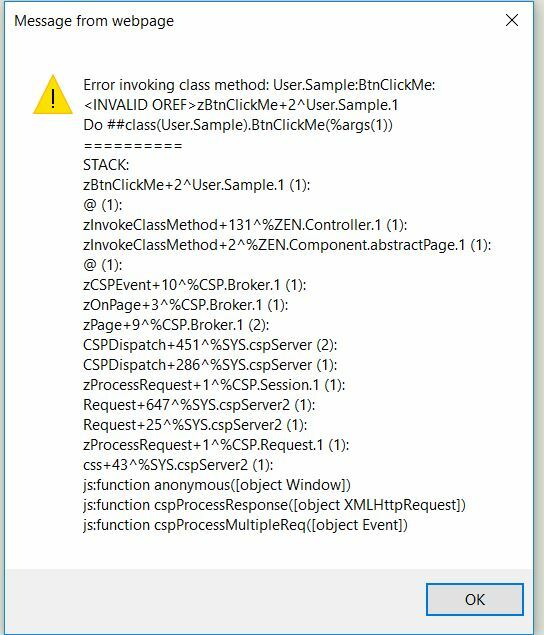 so there is NO object of your ZENpage available and access to %page.... must fail.